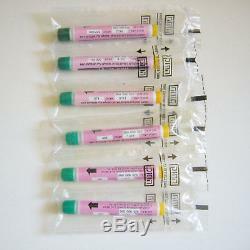 Atropine Syringe Gas 6 Mg = (1 Mg x 6 tubes). There is NO EXPIRATION date for atropine. In case of exposure to nerve gas. The syringe is a primary means of treatment. 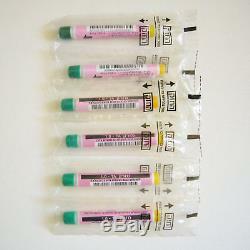 The item "LOT 6 x 1Mg Atropine Syringe Gas Israel IDF 1996-2002 Sealed Unused" is in sale since Tuesday, July 11, 2017. This item is in the category "Collectibles\Militaria\Surplus\Masks". The seller is "israel_trade_market" and is located in Haifa. This item can be shipped worldwide.